Email is the perfect low-impact way to stay in touch with your customers. When you keep people abreast of what’s going on in your shop, you better retain your position in their minds and they are that much more likely to return for repeat business. Building out your email list is an optimal way to keep in touch with anyone who wants to hear from you. Your email list should be reader-friendly, equally suited to existing customers and those merely interested in your shop. Running a quality email list should be a top priority—we’ve compiled a list of eight tips for building and maintaining the perfect one. Check them out below! There are a variety of mailing list providers out there: YMLP, InfusionSoft, AWeber, and more. Each one has its advantages and drawbacks alike, but Ecwid users will be able to use MailChimp most easily, as it is one of the most popular providers in the space and has its own dedicated Ecwid app for flawless integration with your shop. Whichever provider you choose, be sure to pick one that meets your needs gracefully. Some higher-level providers allow for options that a smaller shop would never need, just as a more basic provider would be a completely inappropriate choice for a larger, more-established business. How will anyone sign up for your list if they can’t find the proper way to do so? 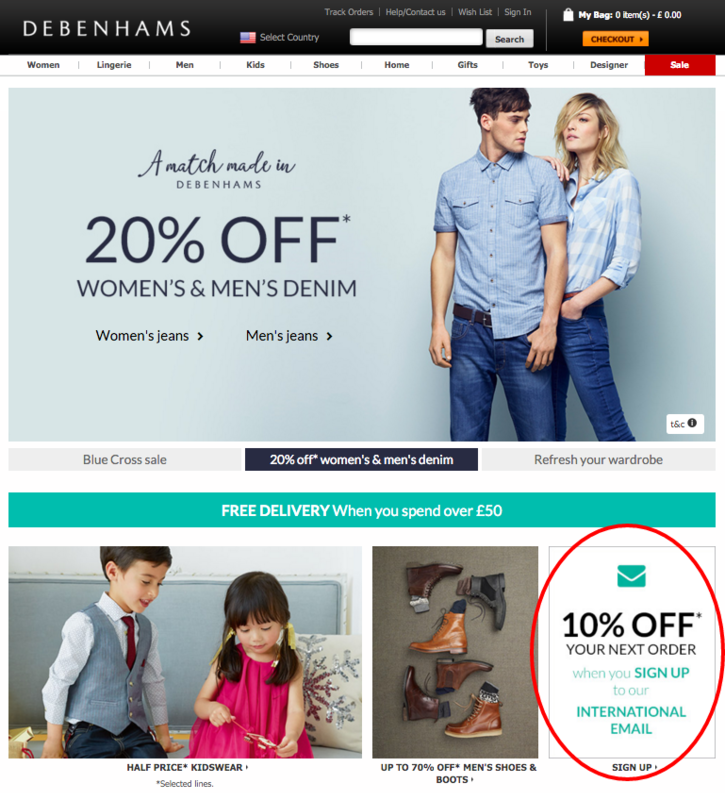 Allow for one-click email sign ups during checkout. Put a registration form on your site so that visitors can sign up by typing in their email address without needing to purchase anything. It should not be a secret that you have a mailing list; it should be obvious and advertised. By offering (and explaining!) different tiers of mailings, subscribers can have control over exactly what kind of email they receive from you. Does the subscriber want news updates about your store, coupons and discount codes, some combination of the two? By letting subscribers set the preferences on what they receive, you can be confident that you’re sending them exactly what they want and not stepping into spammy territory. Everyone loves to save money. Pull in those email addresses by offering exclusive deals to those who sign up for your mailing list. Include a call to action on your website to make sure that people checking out your store see it, regardless of where they land on your site—it ought to be on every page. You could even offer an instant coupon that is available to customers the minute they sign up—anything to get people off the fence. Swell Rewards, an app on the Ecwid marketplace, is one great way to gamify the rewards process and promote social shares among your customers. 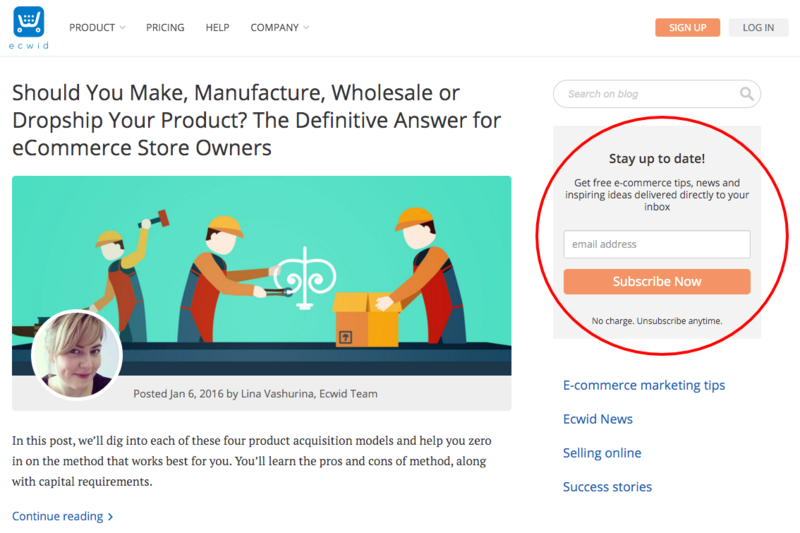 Swell gives points to those who promote your store, follow you on social media, and of course: sign up for your newsletter. We’ve previously written about Swell Rewards here. Everyone loves free stuff! 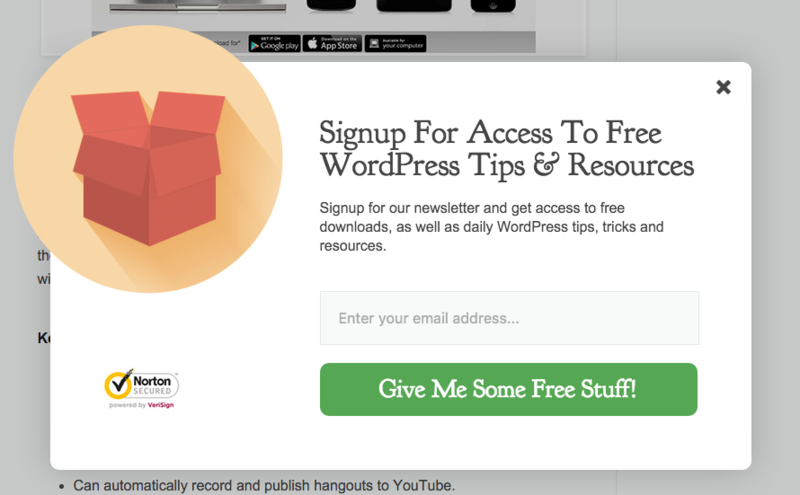 Integrate a regular raffle in your newsletter to incentivize signups. The chance to win a giveaway—an item from your store or other small gift or discount—is plenty of motivation for someone to sign up for a mailing list, so be sure to promote that new subscribers have a chance to win something. Talk about your email giveaways on your social media channels, and incentivize people to spread word of each raffle by offering them more entries in exchange for social shares. There’s even software to help automate the entire giveaway process. Rafflecopter is a leader in this sphere, which makes running a embedding an entry form as easy as copying and pasting the customized, automatically generated HTML code. Depending on the nature of your online business, relevant webinars (choose one of the 15 webinar software products) and ebook downloads are other great incentives to move people to subscribe to your mailing list. If you run a fashion shop, offer people a free style guide when they sign up for your list. If you sell craft supplies, offer an ebook of how to make various things out of items purchased from your store. This will require some creativity and a little bit of work on your part, but at the end of it, you’ll have a high-value piece of content that will draw people to your email list. Facebook now allows you to put a button on your Facebook page directly below the header picture that will let interested parties sign up for your newsletter. It’s one of the first things people will see when they land on your Facebook page, and this means it’s a valuable resource in getting those precious subscribers. If they’re interested enough to view your Facebook page, then they very well might be interested enough to want to hear what you have to say on the regular. People can subscribe to your mailing list without ever even visiting your website. Collecting email addresses online is a no brainer, but don’t stop there. If you’re attending trade shows or conferences and are accumulating other people’s business cards, ask them if they’d like to be added to your business’s mailing list. You might not have a face to face relationship with everyone who subscribes to your list, but getting verbal permission in person can help you grow your subscriber base in a very human way. For anyone wanting to run an e-commerce shop of consequential size and revenue, an email list is a non-negotiable must-have tool. The signups may come slowly at first, but using the tips above will help you build momentum and garner those valuable email addresses. Find a mailing list provider that works best for you, create a beautiful template that your readers will love, and spread the brand new value-filled email list. If you incentivize it, they will come.